For schedule, rates and dates click here. Family Camp, May 17-19: A great opportunity to get acquainted with Silver Lake! We provide the programming, staff, food and accommodation so you can enjoy camp together as a family. When registering you opt for a private cabin, a shared cabin (invite another family – fun times!) or bring a tent/trailer – it’s up to you. All ages. Registration opens January 1. NEW!! Algonquin 6 Night Canoe Trip: *Saturday July 13th at 2pm to Sunday July 21 at 2pm. Ages 13-16. Click here for the Algonquin 6 night Canoe Trip flyer. After a day of preparation, campers leave for 6 nights out in beautiful Algonquin Park, putting in at Canoe Lake. After 6 nights out under the stars, seeing wildlife and soaking in creation, the final day is spent at camp debriefing the trip, reflecting on the week and providing feedback about skill development, teamwork and initiative developed over the trip. This trip is perfect for forging new friendships and gaining practical outdoor skills. The leaders set to lead this trip are outstanding. Andrea Sharpe has led outtrips at Silver Lake for 5 years, has gone on many outtrips and is trained as a paramedic. She is open to the unique experiences that only outtrips can provide, loves being immersed in nature and is intentional about building new skills on each outtrip. Ellie McLachlin has been leading outtrips for Silver Lake for 7 years, has personally been on many outtrips and has led Camper in Leadership Training groups at Silver Lake. Quinton Richter has led outtrips for Silver Lake for 4 years, has personally been on many outtrips, is intentional about giving campers opportunities for personal growth and character development on outtrips, has led a Camper in Leadership Training group at Silver Lake and spends as much time in the forest as he can! Devan Flaming led outtrips at Silver Lake last summer, has been in a canoe since he was a baby and has grown up canoeing with family and friends convinced that there is something powerful about being out on the lake that makes it possible to grow through self-reflection. Campers learn boat safety, paddling fundamentals and skills. Participants must be confident in the water and pass a swim test. A PFD must be worn at all times when near, on or in the water. Must have previous experience on a minimum 2 night canoe trip. SLMC provides necessary equipment. Silver Lake is proud to teach “no-trace” camping principles. NEW!! Rhythm and Song Camp- July 14-20 Ages 7-16 Click here for the Rhythm & Song Camp Flyer This camp is for anyone who loves to create with music! Come to drum, sing in groups, write your own song, or be part of a washtub band. When not making music, campers explore a broad range of other camp activities. Drumming will be led by Sandy Ludwig who has over 20 years of experience as a clinical music therapist in Canada. She currently owns Music4Life, a professional private practice. Her volunteer and work experience in South Africa inspired her to found A Peace of Music, an organization that uses donations to fund music therapy projects and music initiatives in Africa for children with developmental challenges, orphans and people living with HIV/AIDS. She is an accomplished hand drummer, currently performing with renowned Master Drummer Amadou Kienou. Sandy is a graduate of the Honours Bachelor of Music Therapy Program at Wilfrid Laurier University in Waterloo Ontario. Laura Moolenbeek will be leading the singing part of Rhythm and Song Camp. Music and singing has always been a huge part of her life and she is now finishing her second year of Community Music at Laurier. The program focuses on musical facilitation, and with voice being her main instrument she has a special interest in facilitating singing based activities. She is really looking forward to leading SLMC’s first ever Rhythm and Song camp! Throughout the week campers will look at different genres and styles of music, sing as a group with some opportunities for solo, and smaller group work! Campers are encouraged to bring ukuleles, guitars, or other instruments that they like to sing along with (not required!). This camp is an opportunity for creativity and taking musical risks, no previous experience required! NEW!! Newcomer Holiday: It can be challenging when starting out on a new path in Canada to get a break. Come to Silver Lake to take a deep breath and rejuvenate! Silver Lake staff and Mennonite Central Committee Ontario staff are ready to share a memory-making weekend with newcomer families. This weekend is for any family new to Canada. July 19-21. All ages. NEW!! Women’s Bruce Trail Hike: July 20-21. For anyone who identifies as female, is at least 18, wants to hike about 20 kms a day two days in a row on the Bruce Trail through Glen Haffy Conservation Area and up to Mono Cliffs Provincial Park, enjoys a great dinner and is looking for a stay at an terrific retreat spot, this hike is for you! Must be able to walk at least 10 kms with relative ease prior to the hike. Wendy Janzen will share reflections along the way. NEW!! Climbing Camp: July 21- 27. Ages 10-14. Grow climbing skills with great staff as guides. Climbing camp provides a space for kids to explore climbing in a safe and welcoming environment. Each day campers will learn and practice new climbing skills such as knot tying, belaying, and different climbing techniques. There will also be time at initiatives and at team building games. When not climbing, campers explore a broad range of other camp activities. NEW!! Drama Camp: July 21-27. Ages 10-14. Unleash your creativity through movement, improvisation, drama games, scripting and acting. Broaden your drama interests and be part of a drama presentation at camp. When not doing drama, campers will explore a broad range of other camp activities. Drama times will be led by Aodhan McDonald, a current Film Studies student at Wilfrid Laurier University, and a graduate from KCI’s acclaimed drama department. As a provincially recognised sound technician, silver medalist at the Canadian Improv Games, improv instructor, and National Theatre School Drama Festival award winning stage performer, his skills run the gamut from Shakespeare to production design. Aodhan is overjoyed to have the opportunity to share his love of theatre with campers. This will be Aodhan’s third summer on staff at Silver Lake. NEW!! Boating Camp: July 21-27. Ages 10-14. Canoe, kayak and sail at Silver Lake. Learn safety habits and boating skills. Spend a day paddling on the Sauble River (weather permitting). Participants must be confident in the water and pass a swim test. When not boating, campers will explore a broad range of other camp activities. NEW!! Food and Garden Camp: July 21-27. Ages 10-14. Connect with the food you eat! Plant seeds, care for the garden, build a bean trellis, harvest from the garden, identify and eat edible plants, preserve and dry food, make (and eat!) ice cream, cook pizza in the outdoor oven, create amazing campfire treats, compost and prepare soil for the next planting. This camp takes you full circle with food! Food never tasted so good. When not gardening or making food, campers will explore a broad range of other camp activities. Teen X Hike: July 28- August 3. Ages 13-16. Enjoy time at camp and 3 nights on the Bruce Trail in the Bruce Peninsula. Led by qualified staff on carefully selected routes, this hike is perfect for forging new friendships and gaining practical outdoor skills. Silver Lake is proud to teach “no-trace” camping principles. SLMC provides necessary equipment. Often Teen X campers stay for Teen Camp for a two week camp experience. Teen X Canoe. July 28- August 3. Ages 13-16. Time onside and 4 days, 3 nights off-site in Massasauga Provincial Park. Led by qualified staff on carefully selected routes, this canoe trip is perfect for forging new friendships and gaining practical outdoor skills. Participants must be confident in the water and pass a swim test. SLMC provides necessary equipment. Silver Lake is proud to teach “no-trace” camping principles. Often Teen X campers stay for Teen Camp for a two week camp experience. Swimming Certification (Bronze Cross & Medallion), July 28- August 2 Ages 15-17. teaches lifesaving principles. Rescuers learn self-rescue techniques, defence and release methods, and tows and carries. Lifesavers develop strokes and endurance in a timed swim. Swimmers spend 6-7 hours a day focused on the course. Evening programming is low-key due to the physical demands of the course and the need to review course materials. At the end of the week and exam is conducted to assess skill level. Teen Camp: This camp is a must for any Teen! Onsite with lots of friends and time to enjoy camp to the fullest. The programming is tailored to teens with creative activities and plenty of time for traditional camp activities as well! Tip to Parents: You can register your camper for more than one week . Combine Teen Camp with a Teen X Hike or Teen X Canoe and /or the Canoe Adventure Trip. August 4-10. Ages 13-16. Camp 5: August 11-17. Ages 7-12. A great overnight camp with a taste of everything. Campers participate in all camp has to offer including canoeing, crafts, kayaking, low ropes course, nature, archery, Quest, field games and worship/campfire. As a cabin, campers pick their activity schedule. 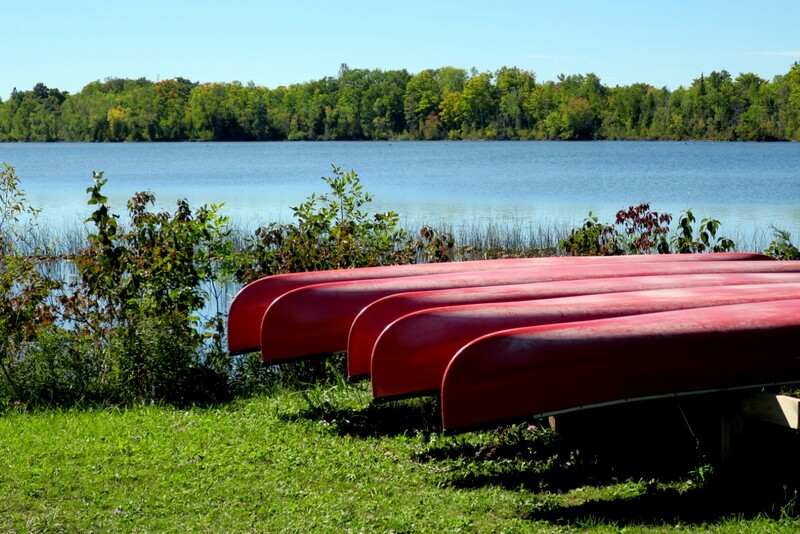 Canoe Adventure Trip: August 11-17: Ages 12-15. This trip, through the pristine waters of Massasauga Provincial Park, is 5 days and 4 nights in the wilderness with a night at camp at the beginning and the end of the trip. Led by qualified staff on carefully selected routes, this canoe trip is perfect for forging new friendships and gaining practical outdoor skills. Participants must be confident in the water and pass a swim test. SLMC provides necessary equipment. Silver Lake is proud to teach “no-trace” camping principles. Skillz Camp: August 18-24. Ages 10-15 Click here for the Skillz Camp flyer. Looking to improve your skill? Come to camp to get a badge when successfully completing skills in one of the following: swimming, archery, climbing, paddling, sailing, wood carving, wilderness or ukelele playing. Have a ton of fun doing lots of other camp activities too! Campers choose one skill for a morning session and one skill for an afternoon session Monday through Friday. This year Silver Lake will offer Level 1 (beginner) instruction only in archery, climbing, paddling, sailing, wood carving, and wilderness skills. Silver Lake will offer Level 1, 2, 3 and 4 instruction in swimming and ukelele playing. For a breakdown in the level distinctions for swimming and ukelele-playing please see below. Swimming will be focused on getting campers comfortable in and around the water, teaching basic swimming skills, and promoting water safety. Classes will be taught by Royal Lifesaving Society certified swim instructors, many of whom have previous teaching experience at facilities around Ontario. The curriculum will be broken up into four levels: Level 1– Submersion, floating, gliding, kicking, jumping into the water, introduction to front and back crawl, introduction to treading water, recovering objects from chest deep water. Level 2 – Refining front and back crawl, introduction to whip kick, treading water, recovering objects from water just above head. Level 3– Basic endurance training, front and back crawl up to 50m, whip kick, breaststroke arms, introduction to scissor kick, treading water, recovering objects from deeper water. Level 4– Endurance training, front and back crawl up to 100m, breaststroke, sidestroke, eggbeater, sprint front crawl, underwater swim. Sign up for the level you believe most suits your camper’s swimming ability. In the interest of safety, campers may be moved between levels at the discretion of teaching staff. All levels will cover topics around water safety. CAMPERS IN LEADERSHIP TRAINING (CILTs) is a 2 year program for ages 15-17 that equips campers to be effective leaders at camp and beyond. CILT 2 is a program for teens who completed CILT 1 with a focus on counselling/staffing skills for use in the context of Christian Camping. Space is limited! Follows CILT 1 July 14-27 or July 28- August 10. In addition to traditional overnight camp experiences, Silver Lake offers action packed Day Camp programming weekdays from 9am-5pm with extended drop off from 8:30-9 am for families local to Silver Lake or those vacationing in the area. 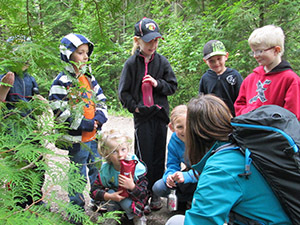 Campers participate in camp activities including swimming, canoeing, crafts, nature exploration and many more. On the Thursday evening of each week, campers are given the opportunity to stay overnight at camp, sleeping in a cabin with fellow campers and counselors (Thursday supper and Friday breakfast provided)! Ages 5-12 all 5 weeks and ages 13-14 as well the week of July 15-19 with Adventure activities (Climbing Tower, Archery) available for ages 11 and up that week. Please note, new this year, lunch will only be provided on Fridays.